Home  My Gleanings Page  Illustrated Edition - Page 4. Illustrated Edition - Page 4. 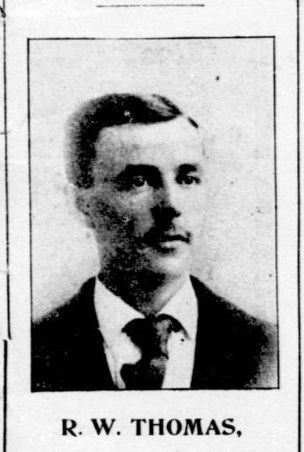 A. J. Bennett was born and reared on a farm in Livingston county. Several years ago he moved to Crittenden and is now one of our leading citizens. 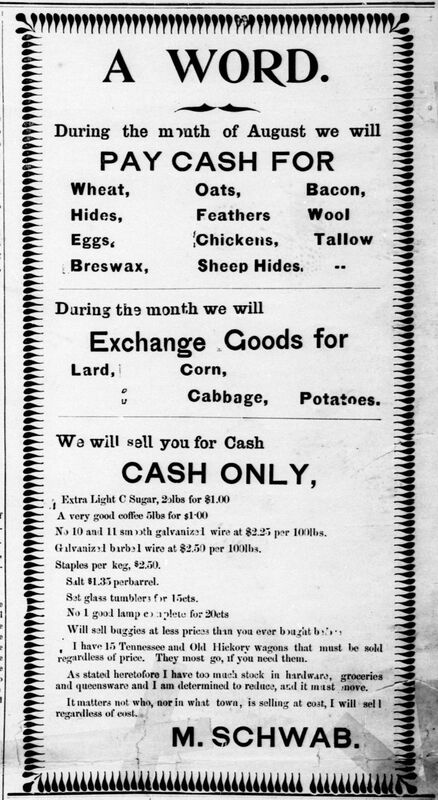 He owns a fine farm in the famous corn belt of the county, and his industry as a farmer, his skill in the management of a farm, place him among the leading agriculturists of Southern Kentucky. He is a citizen full of enterprise and one who delights in the prosperity of the county. He has a splendid home, surrounded by the fruition of his labors. Mr. Bennett takes great interest in political matters. He is a staunch Democrat, and last year his name was frequently mentioned in connection with the race for the legislature. No man stands higher in the estimation of the people who know him than Judson Bennett, and such citizens make Crittenden a leading county in the proud galaxy of counties that constitutes the good old Commonwealth of Kentucky. 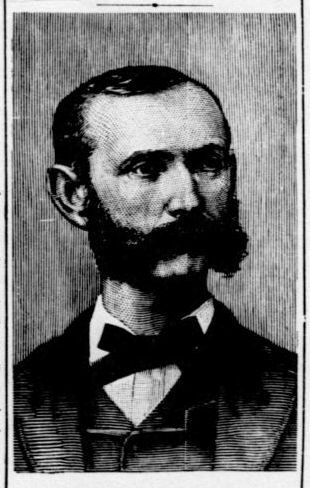 The senior member of the firm of Walker & Olive, the leading furniture dealers in the county, was born in this county in 1833, and lived on a farm until 1868, when he was elected sheriff, defeating Robert Coffield, the ex-postmaster of Marion. 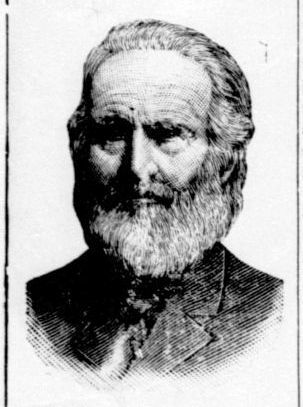 In 1872 he was re-elected, and is regarded as one of the best sheriffs the county has had. 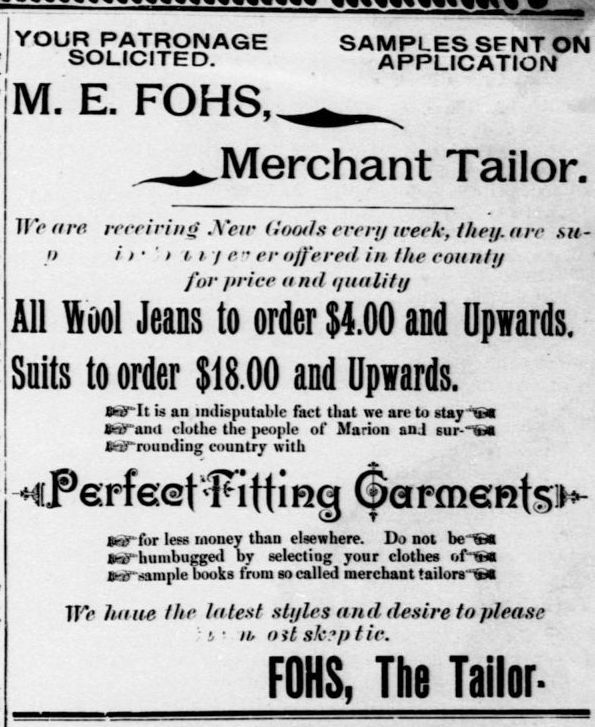 For a while he sold goods at Marion, and handled leaf tobacco several years, finally embarking in the furniture business with Mr. Jesse Olive. Mr. Walker is regarded as one of the best citizens of the county. In all positions, either as a private citizen or an officer, he was and is popular with the people. The firm of which he is the senior partner, carries a large stock of furniture, of all descriptions, handles building lumber of all kinds. The have a splendidly equipped undertaking department. The house in one of the fixtures of Marion. Was born in Charlotte county, Va., on the 12th day of November 1808. 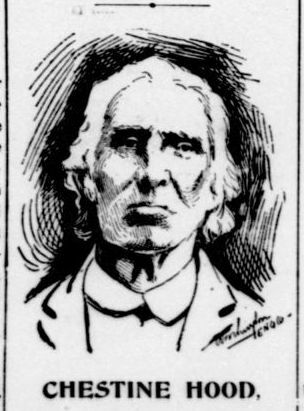 His parent's names were Isham and Sallie Clement, who had twelve children; two of whom were older than the subject of this sketch. One of them--Maria married Littleton Owen, and Elizabeth who married Alexander Coleman, and both of them married in Livingston, now Crittenden county. When Granville was nine years old his father moved to Henry county, Ky., and the next year, 1818 they moved to the place in this county known as the old Clement homestead, now owned by F. M. Clement, the youngest of the twelve children. Granville worked with his father on the farm until he attained his majority; after which time he followed the business of overseeing on farms and flatboating to New Orleans until he was twenty five years of age, and then married Miss Lalina Phillips and settled on the place still known as the Granville Clement place, seven miles east of Marion, where he lived until sometime after the civil war, his companion having died and his children having married and left him, he broke up house keeping and has ever since been making home with his children. He had six children, only one of whom survives, to wit, Caroline who is the wife of J. M. Dean, and their house is now the home of "Uncle Granville." And but for an accidental fall on the ice last February, which still disables him he would be as lively and active as a middle aged man, though he is in his eighty-fifth year. Is the Democratic candidate for assessor. He comes from one of the sturdy families of the Hurricane neighborhood, and partaking of the industrious, honest and frugal qualities of his father, he is a good citizen in all respects. He obtained a good education in the public schools and at Marion Academy; he has taught several successful schools in the county, and as a teacher he is popular. In the school room he was an earnest, industrious student, who generally accomplished whatever task he undertook. So in his work since leaving the school. He is deserving, one of the promising young men of the county, and if honored with official position, he is sure to do his work well, and his record, if elected, will be gratifying to his friends and the people generally. Dr. John N. Todd is a leading physician in the eastern portion of the county. He is a native of Crittenden, his father being one of our farmers. Dr. Todd graduated from one of the best medical schools of the country, and for years he has enjoyed an extensive practice in that section of the county. He was a candidate for the legislature last year. While making only a limited canvass, he had a good vote and the people everywhere were favorably impressed with him. His manly bearing in the fight for the nomination and generous withdrawal the day of the convention made him many warm friends. He is a christian gentleman, earnestly devoted to the welfare of his county, and is one of its most valued and valuable citizens. Is the oldest man in Crittenden county. He was born in Virginia on the great nation holiday--July 4, 1800. He came to Kentucky seventy-two years ago, and where he located he found an unbroken forest. His nearest neighbor lived forty miles away. 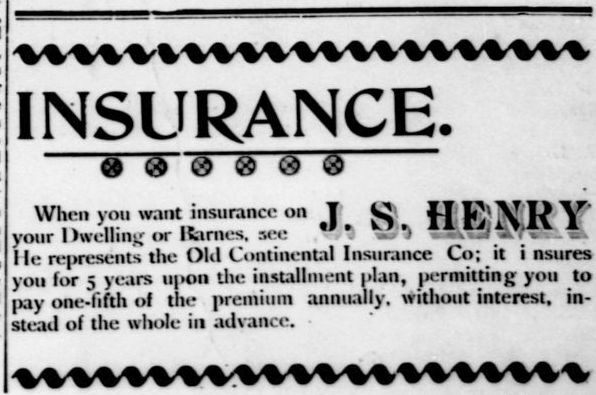 For these seventy-two years he has lived in the territory that is now Crittenden county. He makes his home with his daughter, Mrs. Martha A. Gibbs, of the Shady Grove neighborhood, who is devoted to him in his old age. He is very feeble. He is like some ancient castle, standing in the sunshine of the present civilization, to mutely tell of the toil, the hardships, the privations, as well as the courage, the strength, hopes and virtues of those who made the blessings that are ours today, possible. Who is it that would deny the old man homage, or fail to uncover the head when coming in the presence of such a venerable patriarch. 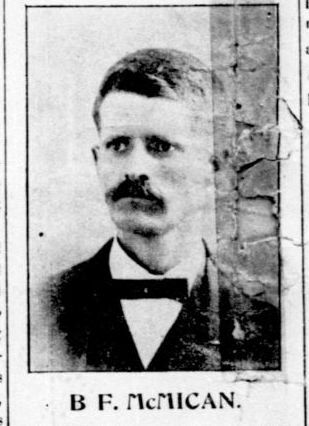 B. F. McMican was born on a farm in Crittenden county in 1862. He lived and labored on the farm, until five years ago, when he moved to town and began business in a small way. Pleasant and reliable, he soon found his way into the good graces of the public and made many friends. His business grew as the public became better acquainted with him, and everybody said, "Ben McMican is a deserving man." Bad health broke his energies for a long time, and it seems that his little accumulations would be used and he would become a helpless invalid. But health returned, his energetic spirit predominated, and soon Ben was working as hard as anybody, winning bread and friends. During this time and while supporting a family, he studied hard, and by the assistance of friends he gained a fair education and began to prepare himself for the ministry. His eyes failed him, and he had to abandon his studies in a great measure. This spring he announced that he would like to be Jailer, and submitted his claims to his party, he was nominated and is now asking the people to vote for him. He is a reliable man and would make a good officer, and his election would be a deserving and substantial tribute to an honest, hard-working, deserving man. Is the junior member of the firm of Thomas Bros, a notice of whose business appears in another column. Mr. Thomas has fine business qualifications, and is popular in the business and social circles of Marion. "He is the best Marshal Marion ever had;" that is a remark one hears applied to our present city marshal, Mr. J. F. Loyd, every day, and no body disputes the truth of the assertion; if there be any man wedded to duty and its demands it is Frank Loyd. It never gets too hot, nor turns too cold for him to look after the work he has sworn to perform, and in the discharge of official duty he knows neither friend nor foe, and Marion may well congratulate herself upon securing such a man to wear the uniform as her chief peace officer. 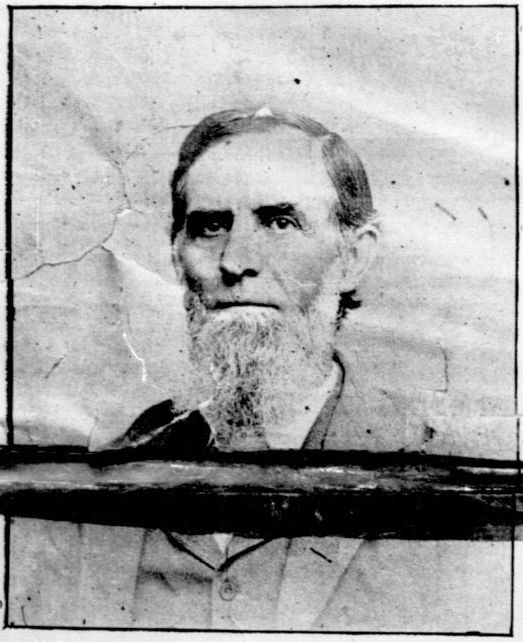 Mr. Loyd was born on a farm in this county August 23, 1864, and is a son of Mr. Wm. P. Loyd, one of our best farmers. 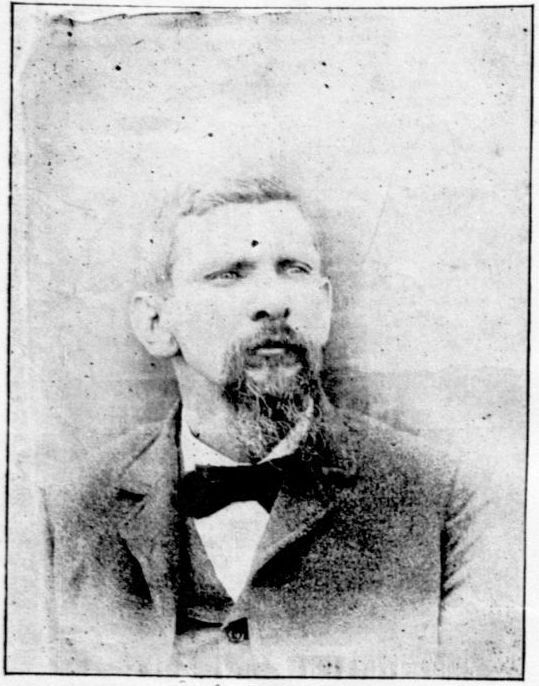 In 1883 Frank concluded to try his fortune in the west; he attended the State Normal School at Warrensburg, Mo., one year and having secured through the influence of a friend, a school in the Indian Nation, he set out to take charge of his new work, but enroute he was taken ill and had to return to Kentucky. 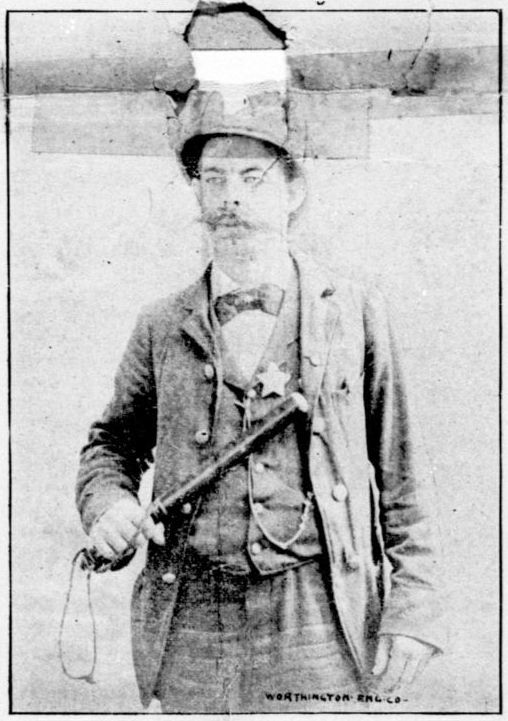 In 1891 and 1892 he served as deputy sheriff under sheriff Cruce, and distinguished himself as a pains-taking, watchful, faithful officer, making a reputation that easily won for him the marshalship of Marion. At present he is marshal, assessor, tax-collector, and street commissioner, and under him the streets are improving, the taxes are being collected promptly and evil doers around Marion do not find smooth sailing. Marion is proud of her faithful officer. We are authorized to announce JOHN K. HENDRICKS, as a candidate for Congress, subject to the action of the Democratic party. We are authorized to announce BEN F. McMICAN a candidate for Jailer of Crittenden county, subject to the action of the Democratic party. We are authorized to announce J. F. FLANARY as a candidate for Assessor, subject to the action of the Republican party. We are authorized to announce J. W. BLUE, Jr., a candidate for County Attorney, subject to the action of the Democratic party. 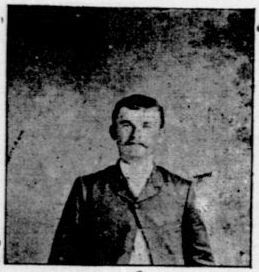 is a candidate for re-election to the office of Sheriff of Crittenden county, election November 1894. He will greatly appreciate your vote and influence. His part record is the best guarantee of the future he has to offer. is a candidate for re-election to the office of County Judge; election Nov. 1884 . He will be grateful for your support. is a candidate for re-election to the office of County Clerk; election in Nov., 1894. He will be glad to have your help; if elected he promises a faithful and impartial discharge of the duties of the office. Is a candidate for Judge of the Crittenden County Court. Election Nov. 1894. He will appreciate your vote, and your help. Is a candidate for Sheriff of Crittenden County. 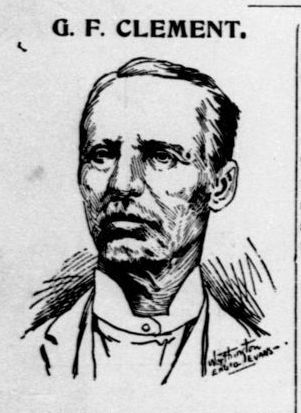 Election Nov. 1894. Your vote and your influence would be appreciated by him. TO THE VOTERS OF CRITTENDEN COUNTY: Having been earnestly requested by my friends from all political parties and having received the unanimous voice of the Democratic Committee to become a candidate for county clerk, (and being a willing subject), I hereby take this method of announcing myself a candidate for re-election as your county court clerk, and if elected promise you a faithful discharge of the duties of said office, as I have ever endeavored to do in the past. I feel thankful to you for the maney [many] favors you have shown me and the confidence reposed in me in the past, and I hope I have done no official or other act to cause you to feel agrieved [aggrieved] or to regret the interest that you have heretofore manifested in my behalf, and if you in your wisdom should at the next November election again favor me with said office I will surely appreciate the favor as much as any man could, and will use every endeavor to make you a faithful and efficient officer, showing no partiality to any one on account of politics, position or color. Source: Crittenden Press. 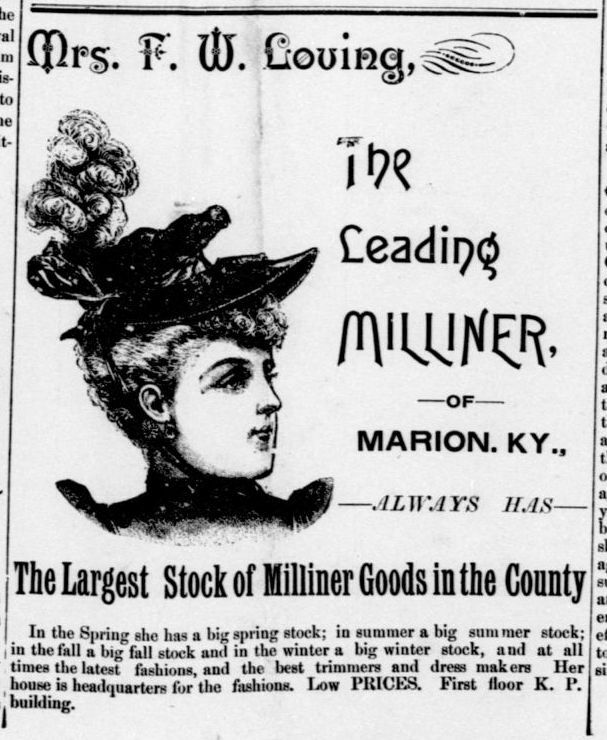 (Marion, Ky.) 1879-1907, August 16, 1894, Image 4 - Chronicling America - The Library of Congress.